If you follow me on Instagram, (which I hope you do, or will do), you saw a snapshot of my nails a couple of days ago. 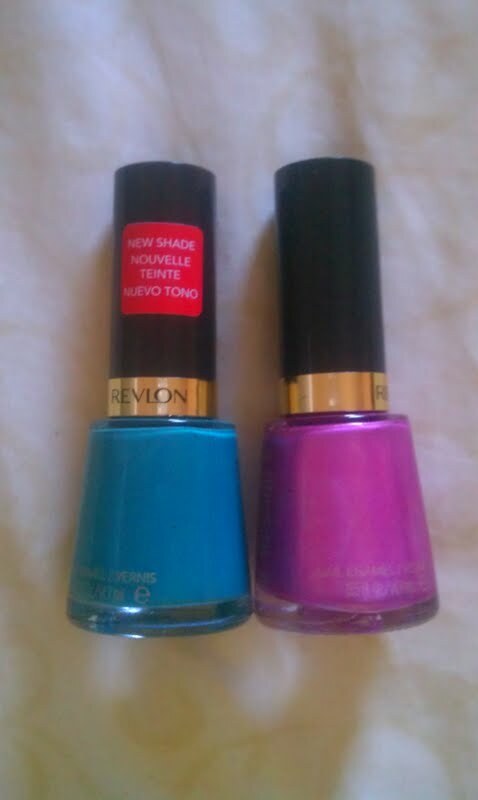 I had a quick Wal-Mart run and picked up some new Revlon polishes.. I believe from their new collection. I added craft chunky gold glitter to make it pop, as I think the colors used were a good fit for gold. Revlon Trendy & Revlon Extravagant. Although I did love the color, the formula wasn't very impressive... no more than two hours afterwards did they chip off... Literally all the polish chipped off by the end of the day. I did use top coat as a base coat since I was out of a base, maybe that's why, honestly don't think so. The colors were lovely though! I love the way this looks! Too bad it didn't last long, I hate when that happens! Holy cow. I LOVE your nails. I'm a nail girl. Love your name too. It's super pretty. Love the sparkle-- The color combo is unexpected too! That looks so cute, really like the idea of finishing it off with glitter. I wish I was more creative with my nails! I hate it when nail varnish chips off straight away! I love this :) Sparkly nails are my favourite and I love how you've done it!! 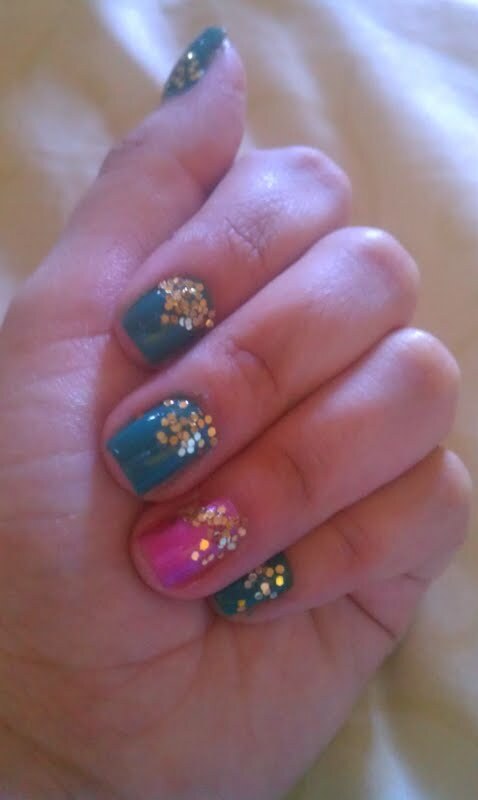 super cute bits of glitter on your nails! So pretty! The glitter truly brings out it's color!